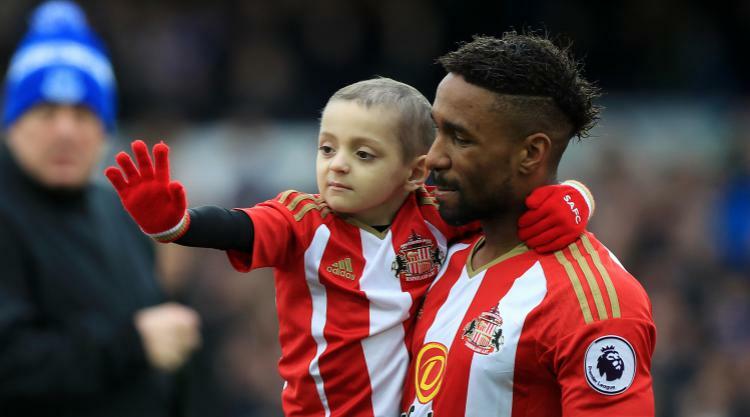 Bradley Lowery has been nominated for a Laureus award for his fight against cancer and friendship with Jermain Defoe. The six-year-old Sunderland fan, who died in July, captured the hearts of football fans around the world with the spirit he showed in his battle with neuroblastoma. Lowery became very close to Defoe during the player’s time at Sunderland after being a mascot for the Black Cats, and the pair spent a lot of time together in the youngster’s final months. Defoe, who now plays for Bournemouth, said: “Every time I stepped into the room, Brad’s face would light up, no matter what he was going through or the pain he was in. Lowery is among October’s nominees for the Laureus Best Sporting Moment of the Year Award. The overall winner will be decided by a public vote at the 2018 Laureus awards ceremony. Who is Going to Face Relegation Heartbreak This Season?